Ships today if you order in the next 1 hours 9 minutes. 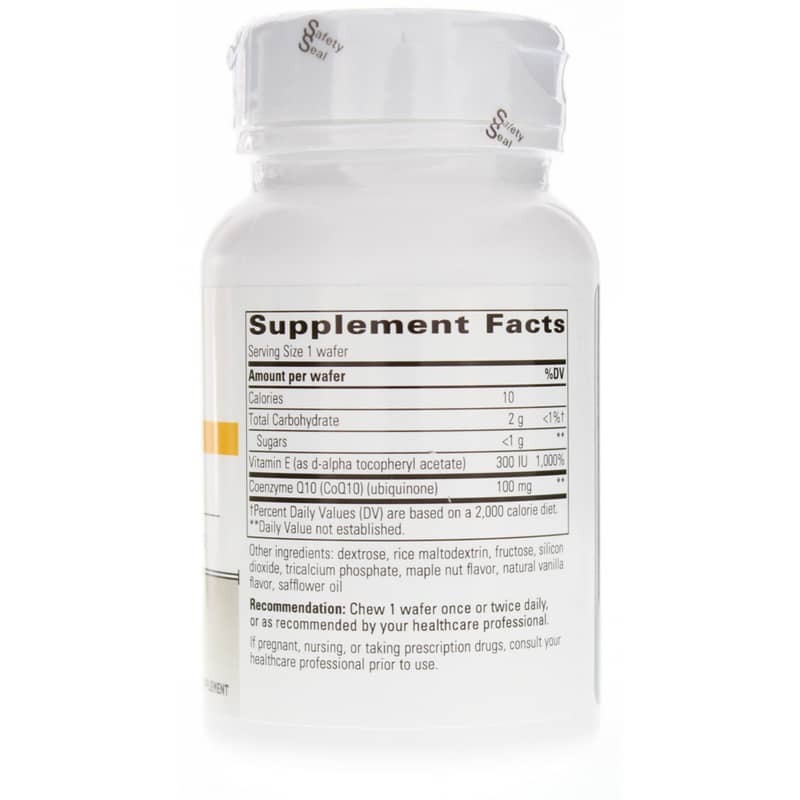 Did you know that CoQ10 is found natural in your cells? It plays an essential role in cellular energy production, but as you age, your natural CoQ10 is diminished, making supplementation necessary to maintain at optimal health. 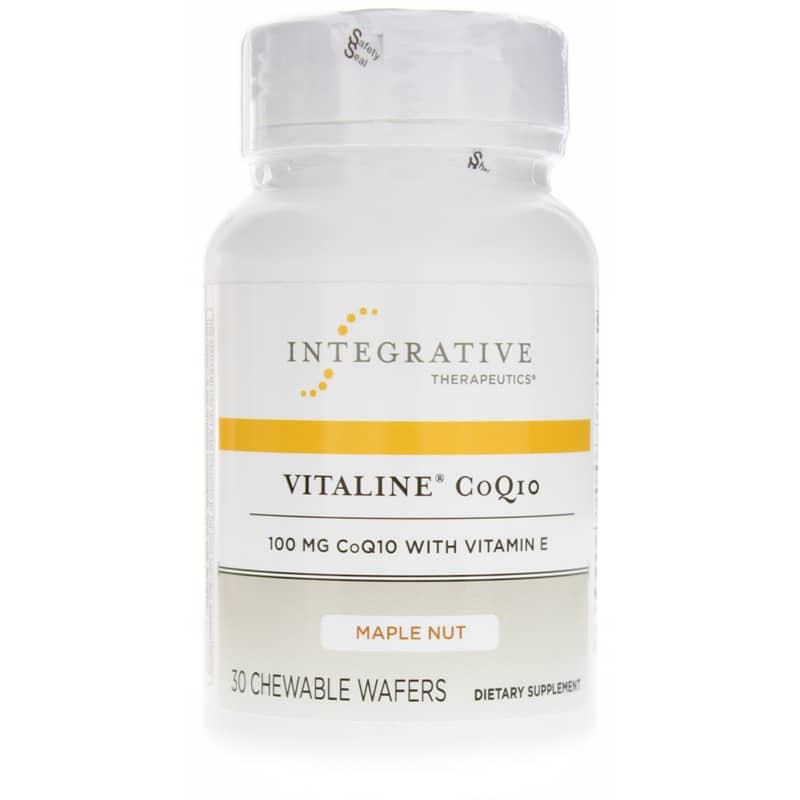 Vitaline CoQ10 from Integrative Therapeutics not only helps replenish your lost CoQ10, but it also promotes cell rejuvenation and increased cellular energy. Just one wafer of Vitaline CoQ10 every day helps restore your body's natural CoQ10 and supports optimal overall health and wellness. It's made without any of the common food allergens, including dairy, wheat, and gluten, and does not contain artificial colors, preservatives, or flavorings of any kind. 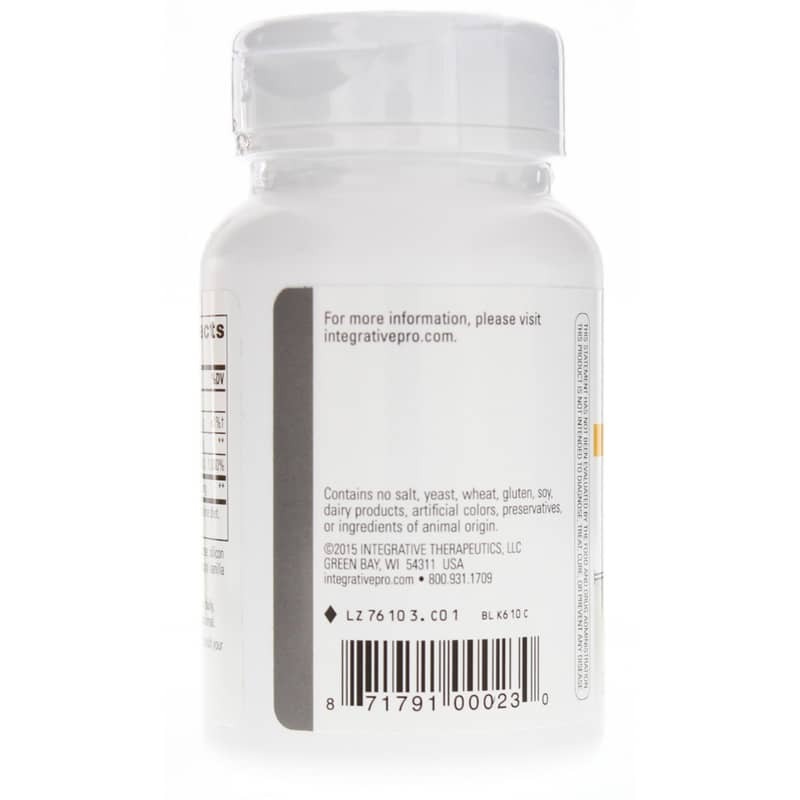 Give your energy levels an all-natural boost with Vitaline CoQ10 from Integrative Therapeutics. Give it a try today and see the difference it can make in your overall health. Other Ingredients: dextrose, rice maltodextrin, fructose, silicon dioxide, tricalcium phosphate, natural orange flavor with other natural flavors, magnesium sulfate and safflower oil. Contains NO: salt, yeast, wheat, gluten, soy, dairy products, artificial colors, preservatives or ingredients of animal origin. Adults: Chew 1 wafer once or twice daily or as directed by your healthcare practitioner. If you are pregnant, nursing, or taking medications, consult your healthcare professional before using this product. Keep out of the reach of children.